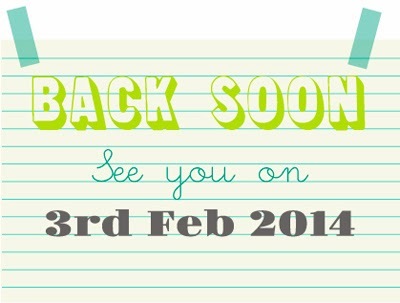 Print & Pattern will be back on Monday 3rd Feb with all the usual posts and pictures. Apologies for the delay but do join me for the new season with press shows from Heals and Laura Ashley. Plus it will be time to look at new designs for Valentine's Day 2014.